The new American Honey Queen and Princess were selected at the 2015 American Beekeeping Federation Convention in Anaheim, California. They will posting interesting articles around bees and honey throughout their year. Keep an eye out for the sweetest representatives in America! Have you ever wondered what the world would look like if you were an insect? In your everyday life, you use your five senses (taste, touch, hearing, smell and sight) to learn about the world around you. An insect’s body works differently from yours and that changes the way they learn about the world around them. Taste: A bee’s sense of taste depends on receptors in her antennae. She can tell the difference between bitter, sweet, salty, and sour. If she likes the taste, she will extend her proboscis and begin to feed. Touch: A bee’s sense of touch is similar to a human. They often use their antennae to measure cells and also touch each other during bee dances. Hearing: Although most insects do not have ears to hear, they are able to “hear” sound around them because of the vibrations in the air. A bee is covered in very sensitive hairs which alert her to vibrations in the air. 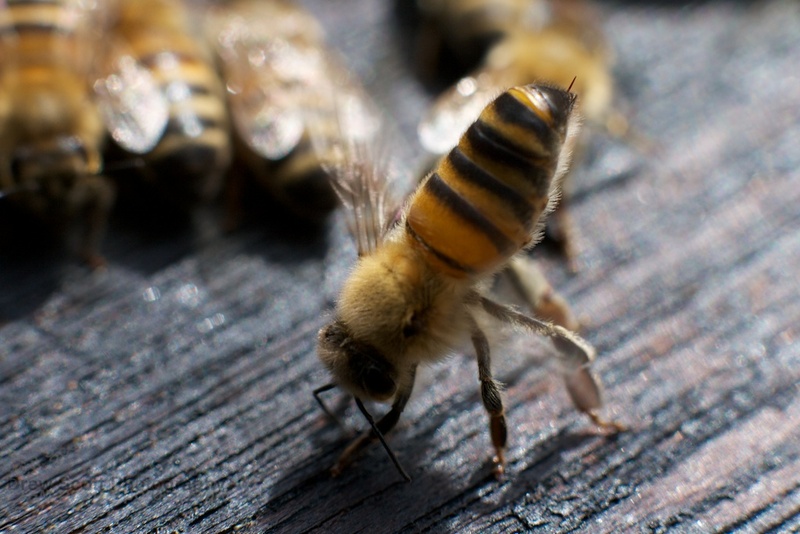 Worker bees can “hear” a scout bee buzzing as she tells them where food can be found. Smell: Honeybees use chemical smells called pheromones to communicate with each other and identify bees that belong in their hive. A honeybee does not have a nose; instead, she uses special receptors in her antenna to decipher what pheromones are around her. 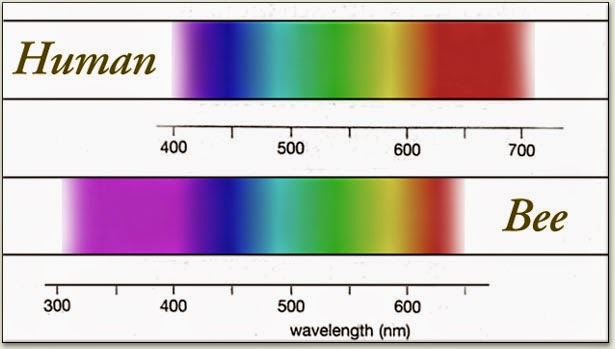 have compound eyes with thousands of individual light receptors. This means that instead of seeing the world as one picture, bees see many individual dots of color placed together. It is similar to the way a television screen projects a picture. A honeybee’s compound eyes also see a different color range than humans, making it difficult to see red but allowing them to see ultraviolet light. 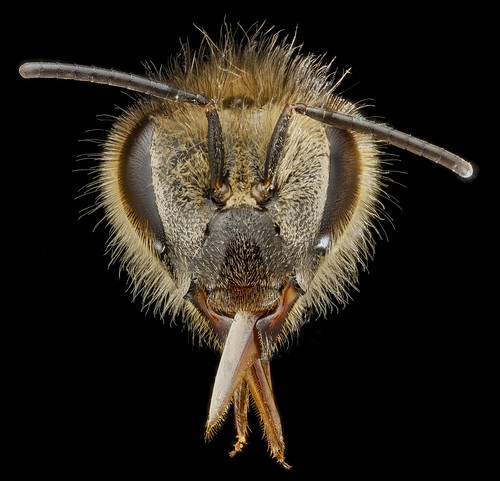 A honeybee also has three additional simple eyes located on the top of her head. A bee cannot use these simple eyes, called ocelli, to see color. They can only see the difference between dark and light with these eyes which helps bees navigate. Bees are amazing insects with very intricate bodies. They perceive the world differently than we do and use their senses to keep their hive happy and healthy.